At Casa Marianella, it’s important to us that we provide safe spaces for residents to unwind from any stresses they are experiencing, and create an atmosphere that encourages creativity and relaxation. 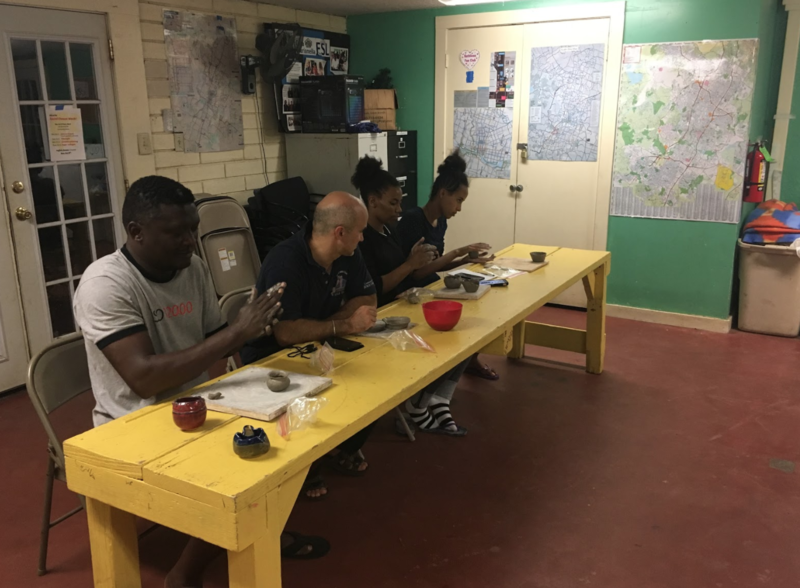 Two of our ESL teachers, Grace Wasson and Blair Pettit, saw a beautiful opportunity to introduce their own relaxing hobby of pottery into the lives of our residents. Last week, they hosted a ceramics class, and our residents absolutely loved it! Grace and Blair are currently getting the pieces that were created fired within the next weeks and are excited to bring them back to the students so that they can see their finalized work! We talked more to Grace Wasson about her thoughts on how ceramics classes can help residents unwind, along with how the idea originated. How do you think ceramics class helps positively impact residents at Casa? It has provided a relaxing space where the residents can explore their creative sides and surprise themselves on what they are capable of creating. We have a lot of hidden talent at Casa! How has pottery positively impacted your own lives? First, it has taught me patience. 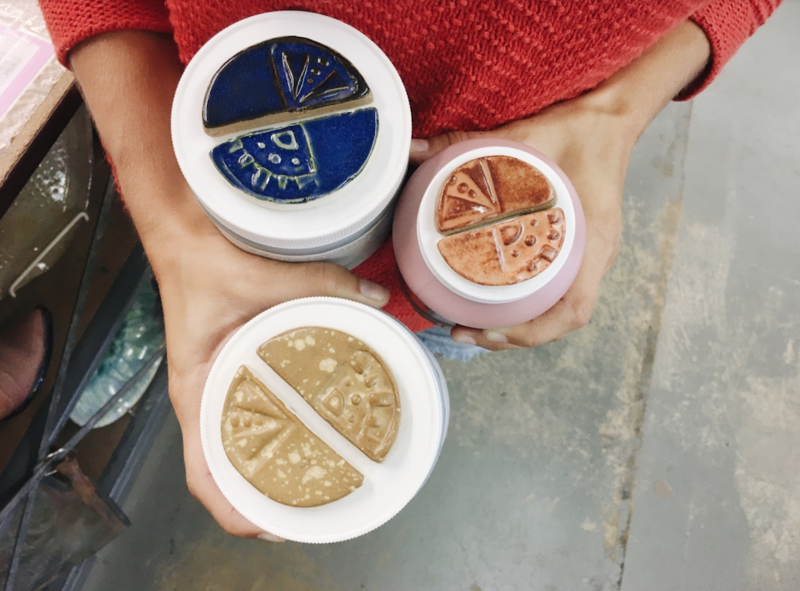 The start to finish process is pretty lengthy, compared to other mediums I’ve worked with– you can only do so much with fresh, wet clay. A lot of the forming comes after certain drying periods, and then once it’s complete, you have to fire, glaze, and fire again. Second, it’s allowed me to embrace the unknown. There is a certain unpredictability in ceramics– what you plan to come out of the kiln may not match what actually comes out when the firing is complete. Sometimes it’s better, but sometimes it’s worse– you just have to learn and move on. 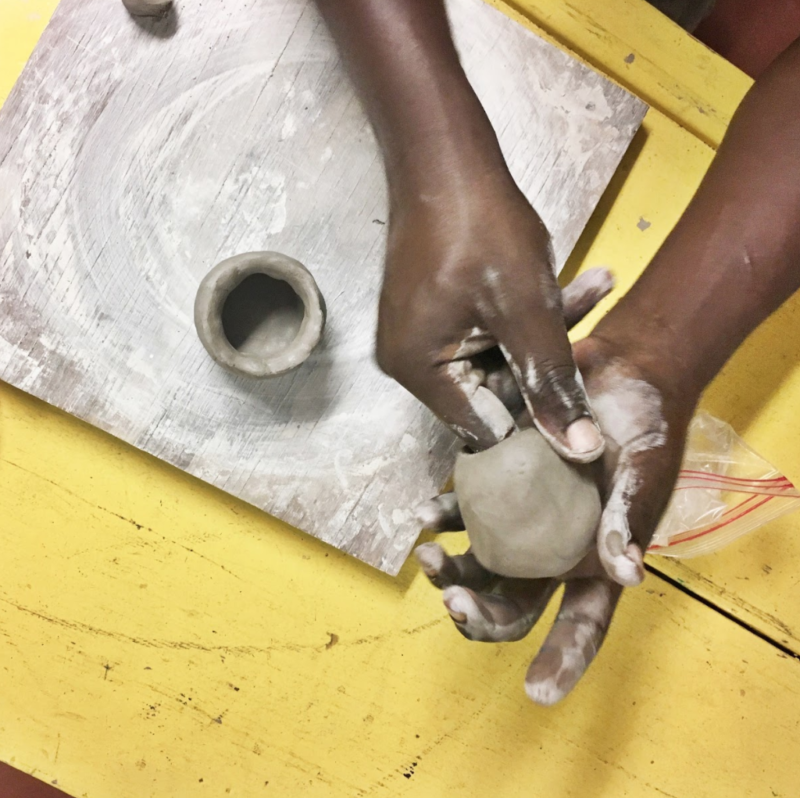 How did you and Grace first get involved with teaching ceramics at Casa? Blair and I both teach ESL at Casa Marianella and saw a need to support the women living at Posada, the women’s and children’s house. Many volunteers come to provide fun activities for the children, but we felt the women needed that kind of service as well. From there, we got to work and created small dishes for the women to decorate with underglazes. We fired those dishes and sold them at the CraftHer Market last weekend. All profits from those dishes are going back to the Posada house to benefit the women living there. 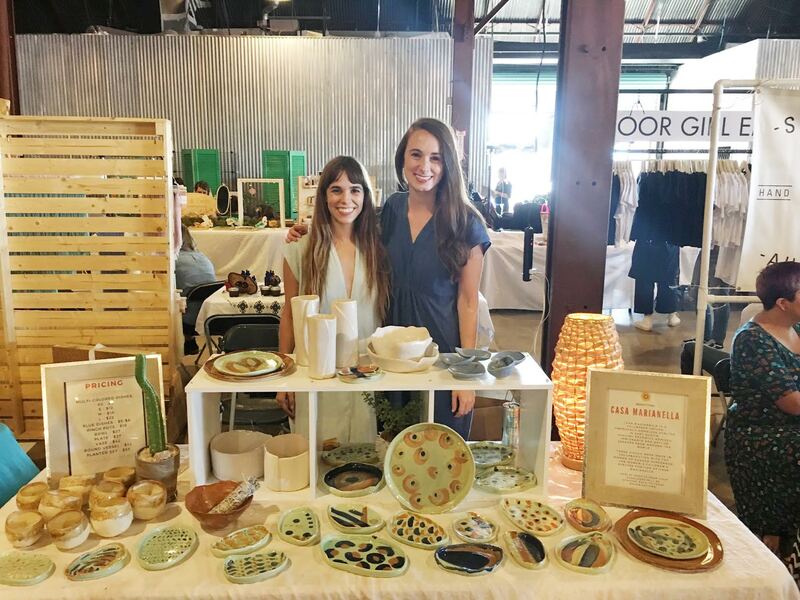 Grace and Blair at the CraftHER Market event last week.